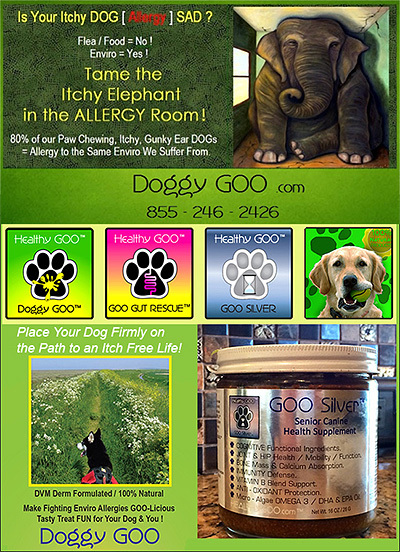 Allergy Supplements for Dogs or Canine Allergy Treatments, can make a real difference in the Health and Well Being of your Dog. While Humans Achoo Sneeze, Enviro Allergies in our Dogs often come in the form of Itchy Skin, Gunky Ears and Hot Spots. Having a DVM Dermatologist Formulated Product to build “Internal” Immune Tolerance to TroubleMakers will make the “External” difference in both Health, and Qulaity of Life Happiness of your beloved Canine Friend.